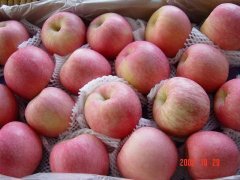 Fuji apples from Shandong, China. 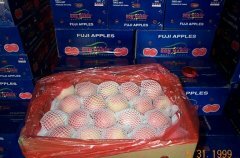 Fuji Apples 42,48,54,60,66 10kg,15kg,20kg Carton Within tray and foam net. 1085ctns/40’RH. 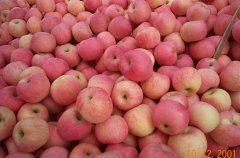 Golden Pears 24,28,32,36 10kg ctn July-Oct. 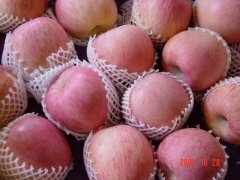 Early Su Pears 80,96,112,140 As per buyer’s requests June-July. Lai Yang Pears 60,72,80,96,112 As per buyer’s requests July-Oct.
Red Globe Grape 12g -20%;14g-80% 2.5kg, 5kg foam ctn Sept-Feb.
Kiwi Fruit 80g-160g 4kg,5kg,10kgctn Aug-Dec.